So I haven’t done an official launch of my website’s shopfront, but I am excited about it unfolding live and in a more organic nature. In the meantime, I am going to write a more technical post about how I managed to accomplish the shop up to this point. Probably the majority of people reading this blog are here for the cake posts, I know, but you just never know who may be more interested in the technical aspect of it (especially considering its unusual complexity of requiring multiple shipping origins). There are a number of decent ones available, just find one that meets your needs. I am currently with a business package on Hosting Australia who provide excellent pricing and brilliant service, even on weekends. You can either get this bundled with your web hosting package, or you can pay for one separately to have installed along with your website manually. Be sure to choose which one suits your needs. Please don’t disregard this step if you are intending to do online sale transactions to protect your customers’ data! Payment Gateway Based Fees and Discounts for WooCommerce WooCommerce Payment Gateways Fees and Discounts. Smart Send Shipping for WooCommerce Add Smart Send Australian shipping calculations to Woo Commerce. Woo Checkout Field Editor Pro Customize WooCommerce checkout fields(Add, Edit, Delete and re-arrange fields). WooCommerce Print Invoice & Delivery Note Print Invoices & Delivery Notes for WooCommerce Orders. 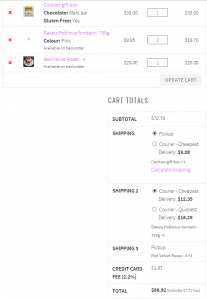 WooCommerce Square Adds ability to sync inventory between WooCommerce and Square POS. In addition, you can also make purchases through the Square payment gateway. Now, before you go and just install everything willy-nilly, I will point out that WooCommerce on its own is a powerful plugin and I would probably say most people don’t necessarily need to add anything else on. But, in my case, I had some small things that I needed to tweak, and these extensions worked beautifully. Now wouldn’t it be lovely if every single thing worked straight outta the box?! While I would say 99% did, the complication I faced was that not everything I intended to sell would be shipped from the one origin address. Something that I thought there would be a plugin readily available for, but apparently not quite. So what I did was divide and conquer the problem. I first installed the extension “Multiple Packages for WooCommerce” (mentioned in table above). 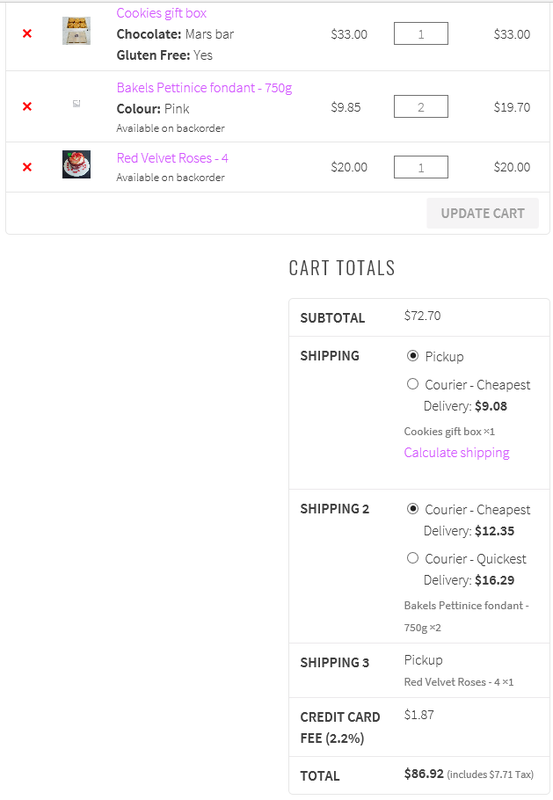 This could then handle the splitting of packages via use of the product shipping class, so each package has its own set shipping fee. (This incidentally handles the issue of products that need to be limited to pick up only, ie fresh baked goods, fragile goods, or in the other industries, larger items). The next stage was to then apply that same stream of logic (ie using the product shipping class) to then differentiate shipping origin address in the SmartSend plugin (I happened to be using SmartSend as my courier option, however I am sure there are equivalent courier plugins for other services in other countries). Now, as far as I am aware, I could have requested assistance for this issue directly with SmartSend and the developers probably could have created a solution for me. However, what kind of software programmer would I be if I had not at least attempted to resolve this for myself? AgentRansack (optional) – a fast and efficient way to search through folders, based on search terms “filename” and “containing text”. Once you’ve logged into your website’s FTP, you can then locate the plugin you want to develop under directory (in this particular example, we are going to develop on the SmartSend plugin, located under public_html/wp-content/plugins/woocommerce-smart-send-australian-shipping). Now, the development that I did, all happened to be contained in one file: smartsend-plugin.php. I won’t delve into specific details at this stage of what I changed, however here is an overview. If item has shipping class "Bakels"